What’s better than finding a secluded spot to kick back and take in picture-perfect Colorado views? Doing it with a picnic lunch, of course. With our plentiful parks, trails and mountain lakes, Colorado is prime for picnicking. So pack your basket and bring your appetite to these time-tested favorites. Tucked into the base of the foothills in north Boulder, this peaceful park is filled with kid-friendly activities, from first-timer fishing to a playground to easy family hikes around the lake. It’s also a popular paragliding spot, and kids will delight in watching the gliders launch from the top of Wonderland Hills. There’s plenty of open space for family games and kite flying, too, while ramblers can access advanced trails like Mt. Sanitas and the Flatirons via the park’s trail system. When spring finally rolls around, Denverites flock to this urban oasis known as “Capitol Hill’s backyard.” Here, the melting snow makes way for Frisbee throwing, people watching and picnicking in droves. Surrounded by high-rises and Gilded Age mansions, Cheesman offers 80 acres of gentle grassy slopes, shade trees and rose gardens. A stately neoclassical pavilion at the park’s highest point makes a nice picnic spot, with views of downtown and the Front Range mountains. 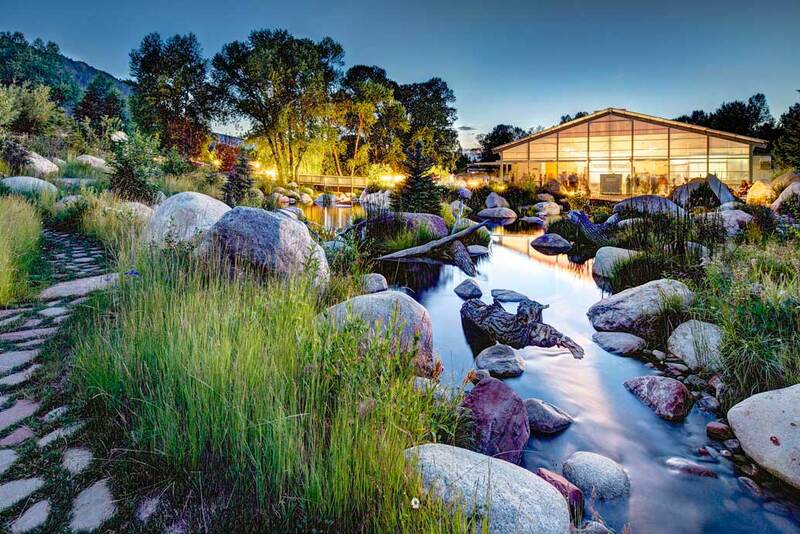 A stone’s throw from Aspen’s Main Street, the serene land­scapes of John Denver Sanctuary will lull you to linger long after the meal is over. There’s the perennial flower garden, for one, fed by the Roaring Fork River that burbles through this urban wetland. And there’s the strolling path lined with boulders bearing the song lyrics of John Denver, who was a longtime Aspen resident and Colorado poet laureate. After a picnic here, you’ll be on a “Rocky Mountain High” of your own. This striking landscape of prairies, canyons and pinyon-juniper forest provides rare glimpses into Colorado’s unique history, from dinosaurs to indigenous peoples. Explore brontosaurus tracks, prehistoric seabeds and rock overhangs with petroglyphs carved by American Indians as long as 8,000 years ago. Pristine covered picnic areas at Vogel and Carrizo canyons are perfect starting points for this adventure through time. Accessed by an unpaved road that curls into the Collegiate Peaks, this remote alpine lake is glorious whichever season you visit. In the fall, however, the aspen-blanketed hillsides explode in vibrant color, saturating the lake in gold-hued reflections. Snag one of the many picnic tables on the lake’s wooded eastern edge, or take a rowboat out to the middle and savor the silence. The “wildflower capital of Colora­do” offers idyllic settings at every turn, but you’ll find unparalleled views from Mt. Crested Butte. Hike up or hop on the Silver Queen chairlift at the base of the mountain for a fun flight to the top; head left and into the woods for a cluster of picnic tables, or venture onto the mountain’s many trails to find a view that inspires you. In July, the Crested Butte Wildflower Festival offers picnic hikes through meadows carpeted with columbines, sunflowers and more. For picnickers who have seen it all, take a walk on the wild side with this animal encounter ... and we’re not talking about elk or deer. You’ll embark from Arrowhead Ski Area and wind through forests and wildflower fields to your red-checkered picnic — accompanied by a friendly, lunch-toting llama. These outings hosted by Paragon Guides are great for families with older kids but can be tailored to all ages and skill levels. Whether you’re a gourmand or prefer the no-frills classics, load up your basket at these cheese shops, food halls and sandwich counters around Colorado. With two locations in downtown Boulder, Cured is a convenient place to acquire a well-curated meal for your woodsy excursion. Order the aptly named Proper Picnic, a vintage basket stuffed with three cheeses, three meats, a baguette, apple, almonds, chocolate and locally made red-pepper jelly, pickles and olives. This newly opened food hall and “culinary emporium” is a tantalizing place to forage for a picnic. Stock up on fruits and veggies from the greengrocer, sandwiches and take-out pizzas with toppings like local sausage and roasted garlic. Filled with Roaring Fork Valley delicacies, this shop is well prepared for gourmet picnickers. Order a grab-and-go lunch with your choice of sandwich, fruit and chocolate-covered almonds, or a meat-and-cheese board with pickles, mustard, jam and crackers — all packed up for your enjoyment. Portable Mediterranean delights abound at this favorite locals’ hangout. Order what you will from the menu (we like the slow-roasted lamb gyro), but a side of curly fries to snack on — lauded as the best in town — are a must. Choosing from the sprawling sandwich board can be tough, but take solace in knowing whatever you pick will be delicious. Take your order to-go and head to Hecla Junction for an alfresco lunch along the Arkansas River. This little slice of Paris in down­town Longmont has a bountiful selection of local and imported cheeses. Pair them with olives from the massive olive bar, cured meats and mouthwatering desserts, and you’ll be snacking happily all day. Get your buzz on with a steaming cup of joe, brewed with beans from nearby Pueb­lo’s Solar Roast Coffee while you wait for the cheery folks at The Barista to whip up your carry-out order of sandwiches, wraps, salads or paninis. Read 10 Beautiful Places in Colorado; 99 Gorgeous Places in Colorado: Part 1, The Postcard Places; Part 2, The Local Favorites and Part 3: The Hidden Gems.